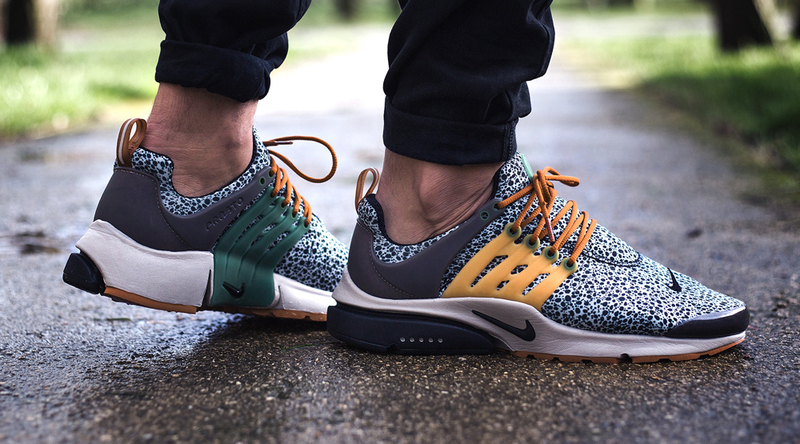 If these "Safari" Prestos feel somewhat familiar, you're not alone. 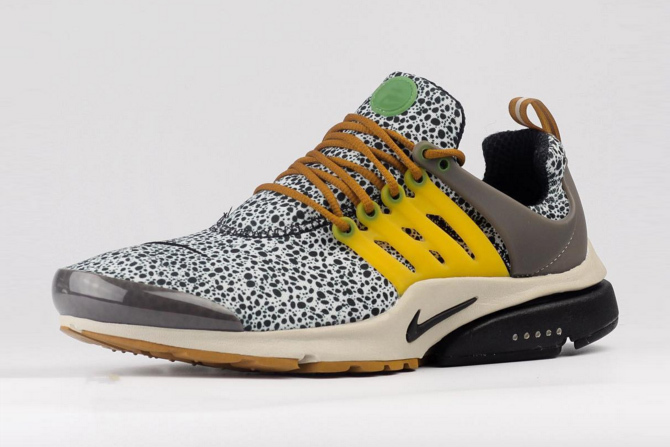 Two of Nike's most popular designs collide as the Swoosh's iconic "Safari" print meets the fan favorite Air Presto. At the top of the year, we previewed a GS pack that drew inspiration from the original Safari model. And from the looks of it, Nike seems focused on continuing that trend with its upcoming Presto. However, this time around, Nike didn't look at the OG for inspiration. Instead, it might have been motivated by a more recent Safari model. 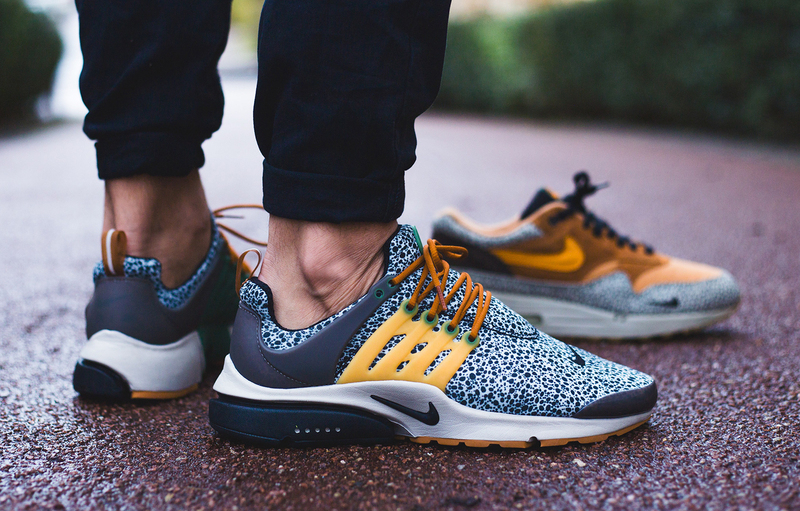 In 2003, Nike collaborated with atmos to release the Air Max 1 B Safari. An overseas exclusive, the shoe was fairly easy to get by today's standards, but was still a difficult cop for most. Today, the shoe is considered a grail amongst many Air Max collectors. In these Prestos, Nike could be attempting to rekindle its previous success with that AM1. While it does make greater use of the print, its color palettle and color placement is also strikingly similar to its predecessor. Will it work? That remains to be seen. Curious as to when these are coming out? So are we. Stay tuned as further information is sure to develop. 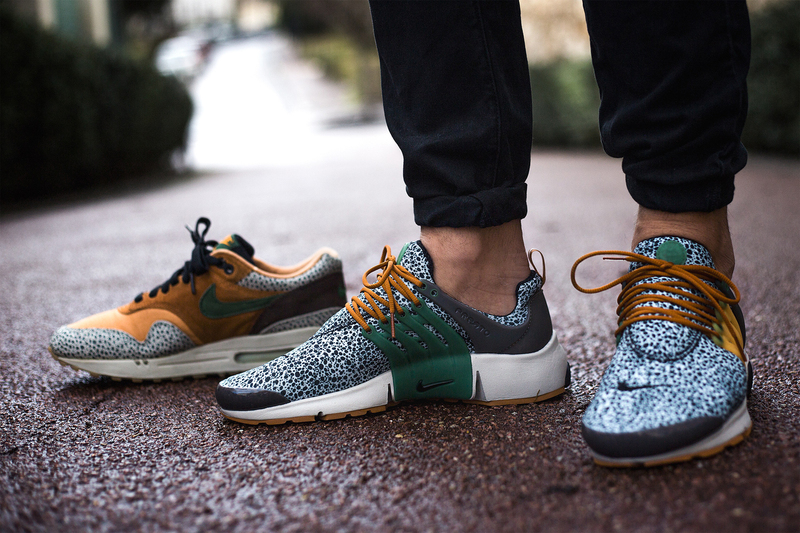 UPDATE 2/5: An on-feet look at the "Safari" Air Prestos.